Matthew Apgar - mapgar@shawmedia.com Marengo High School's marching band awaits the final half second of play in the sophomore game to take the field for the National Anthem before the varsity game against Johnsburg on Friday, Oct. 09, 2015 at Marengo High School in Marengo. 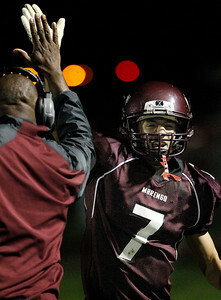 The sophomore game ended in a 24-24 draw as the scoreboard reminded parents and fans to stay updated on Marengo varsity playoff information online. 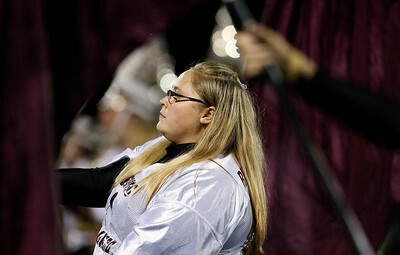 Matthew Apgar - mapgar@shawmedia.com Marengo junior and color guard member Anna Richards holds her maroon flag up while framed by those of her teammates as the National Anthem is played before the football game against Johnsburg on Friday, Oct. 09, 2015 at Marengo High School in Marengo. 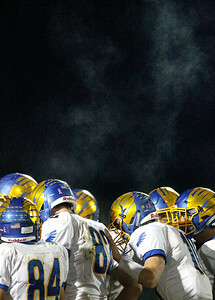 Matthew Apgar - mapgar@shawmedia.com Steam rises from above a Johnsburg Skyhawks huddle during their football game against Marengo on Friday, Oct. 09, 2015 at Marengo High School in Marengo. 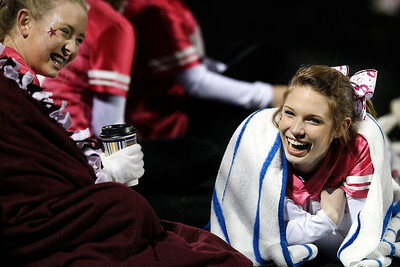 Matthew Apgar - mapgar@shawmedia.com Marengo cheerleaders Katelyn Meehan, left, and Lexi Wolf, both 15 and sophomores, stay warn with hot beverages and blankets before their football game against Johnsburg on Friday, Oct. 09, 2015 at Marengo High School in Marengo. 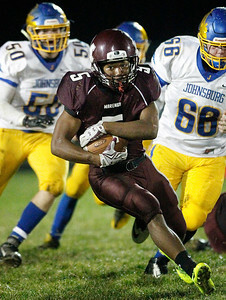 Matthew Apgar - mapgar@shawmedia.com Marengo's Jarren Jackson carries the ball through the Skyhawks defends as Johnsburg's Adam Jayko, bottom, and Bryce Smith, back, eventually stop Jackson's runduring their football game on Friday, Oct. 09, 2015 at Marengo High School in Marengo. 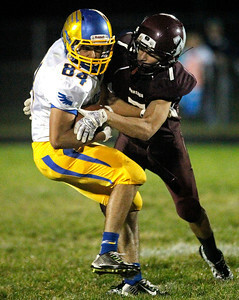 Matthew Apgar - mapgar@shawmedia.com Marengo's Craiton Nice, right makes a stop on Nico LoDolce of Johnsburg during their football game on Friday, Oct. 09, 2015 at Marengo High School in Marengo. 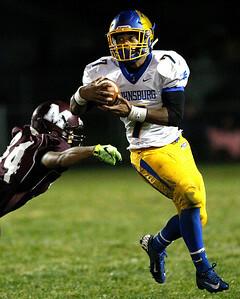 Matthew Apgar - mapgar@shawmedia.com Marengo's Jarrell Jackson, left, tries to catch up to Johnsburg's Alex Peete during their football game on Friday, Oct. 09, 2015 at Marengo High School in Marengo. 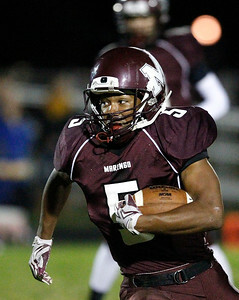 Matthew Apgar - mapgar@shawmedia.com Marengo's Jarren Jackson takes the ball for a run through the Johnsburg Skyhawk defense during their football game on Friday, Oct. 09, 2015 at Marengo High School in Marengo. 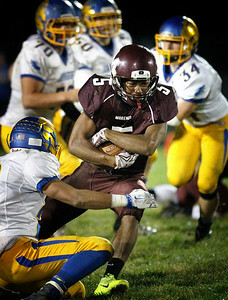 Matthew Apgar - mapgar@shawmedia.com Marengo's Danny Martinez, center, makes the tackle on Alex Peete of Johnsburg during their football game on Friday, Oct. 09, 2015 at Marengo High School in Marengo. 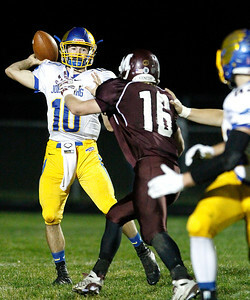 Matthew Apgar - mapgar@shawmedia.com Johnsburg quarterback Riley Buchanan tries to get the pass off in time as he feels the pressure from Marengo's Colton Wightman, center, during their football game on Friday, Oct. 09, 2015 at Marengo High School in Marengo. 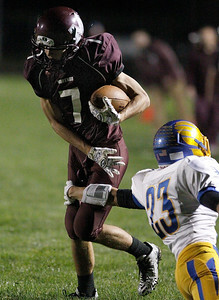 Matthew Apgar - mapgar@shawmedia.com Marengo's Craiton Nice completes a long pass that nearly landed him in the end zone before being stopped by Johnsburg's Brody Frazier, right, during their football game on Friday, Oct. 09, 2015 at Marengo High School in Marengo. 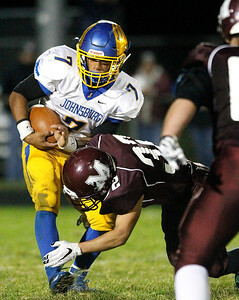 Marengo's Danny Martinez, center, makes the tackle on Alex Peete of Johnsburg during their football game on Friday, Oct. 09, 2015 at Marengo High School in Marengo.